Using an easy substitute of Greek yogurt brings this street food home for me. 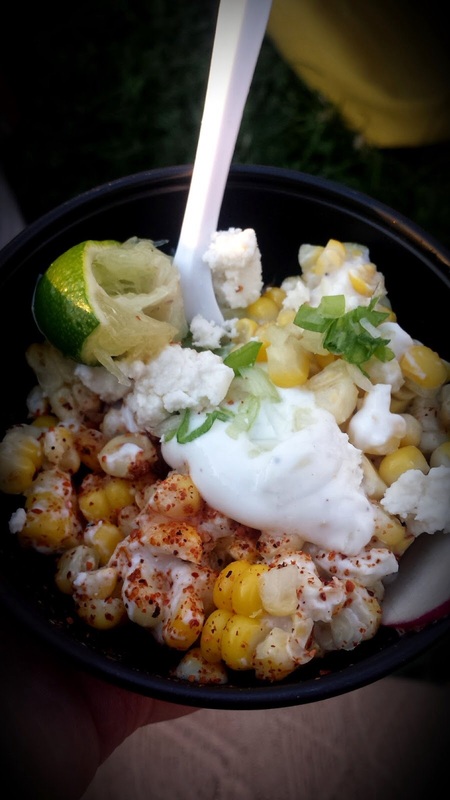 Because I cut the kernals from the cob and served them in a cup, this should be called esquites, but since I didn’t saute the cut corn in butter, i’m calling this elote in a cup. Doesn’t matter the name cuz it’s just plain delicious. Happy Healthy Tips: Genetically Modified foods pose serious health risks. Be sure to chose non-GMO corn. Grill corn and cut from the cob. I find it easier to do this in a big bowl rather than on a cutting board (keeps more of the corn in the bow). Mix together the yogurt, juice of 1 lime, cumin and the chili powder. Cut the remaining lime in half and then into quarters.